Have Letter of Invitation, can travel. | Hello Saigon! Have Letter of Invitation, can travel. With the recent news about a 63-year old Filipina who was deported back to the Philippines from Seattle after serious scrutiny by the US Immigration Officers, more news has been coming out of the power tripping Immigration Officers including my homecountry’s. Someone posted her experience of being denied to leave for Vietnam for a friend’s wedding. In the recent couple of years, the Philippine Immigration has become real strict in allowing Filipinos to visit Vietnam especially those who are without previous travel experience. After the drug issues and those who travel abroad on a tourist visa then mysteriously disappear, you can understand why. Every time we have family and friends over, we make sure that we send a Letter of Invitation which they can show to the Immigration Officers with a copy of my husband’s passport and Temporary Resident Card. This serves as our invitation to my, <insert relationship>, <insert guest name> for a visit to our home where I, together with my family, are residing at <insert address>. We shall serve as their host for their entire visit. Attached herewith is a copy of my resident card and passport for your reference. Kindly provide them the assistance they need in order to arrive conveniently and safely to Vietnam. 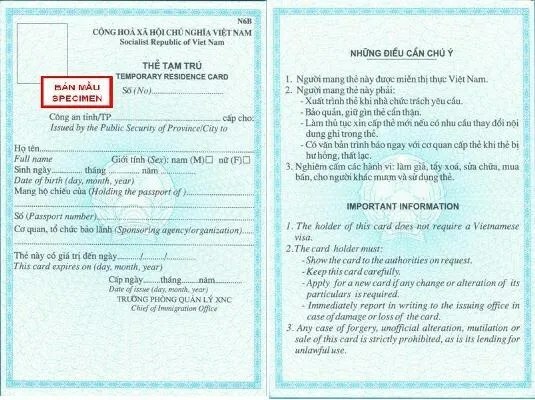 Filipinos can get a visa upon arrival to Vietnam for a period of 21 days. This entry was posted in Exploring Saigon and tagged Ho Chi Minh City, Philippine Immigration, Saigon, Vietnam. Bookmark the permalink. 21 Responses to Have Letter of Invitation, can travel. Hi Lyra! Im about to give birth next month & we have chosen our helper from philippines to come over here to assist me as I am more comfortable with her. Will the letter of invitation needs to be stamped/signed by the consular office? Hi Joy. Is it the first time that your helper will be flying? Do you have a temporary resident certificate? We’d usually just send a letter and a copy of my husband’s passport and temporary resident certificate. However, it gets tricky for first time travelers, so I would say it is best to have your letter of invitations stamped at the consular office. I have heard of a few not being allowed at our Immigration in Manila to get on the plane. Especially for domestic help. Yes,its her first time to travel abroad & we are really a bit worried about it.We do have a TRC….Thank you so much for your help.We will go to the consular office then. Hi. Does your boyfriend have a temporary resident certificate? If not, then I don’t think you need a letter of invitation from here. A Filipino can stay in Vietnam for 21 days as part of being a member of the ASEAN. So no need for Visa. No need for show-money or bank accounts. Hi! I just saw this post. I hope you are still there to answer my question. I’m going to visit Vietnam two weeks from now for like abou 10 days. I have a roundtrip ticket, certificate of employment and the company ID to show that I will return to the Philippines. The thing is, it’s gonna be the Chinese New Year so the stablishments there will be closed and I’m afraid the immigration here in the Philippines will question it. Now I have a Vietnamese friend who agreed to give me an invitation letter. I just wanted to know if the inviation is just a scanned copy? Or should it be delivered via mail as an original copy? Thank you. Hi! During Tet (Chinese Lunar New Year), there are lots of tourists around to celebrate the occasion. So it’s not like before that there are lots of closed establishments. Anyway, on the Letter of Invitation… where are you staying? If you’re staying in a hotel, best to print the confirmation email. I don’t think you’d be questioned by the immigration as this is one of the best times to visit Vietnam. Also, is this your first time to go out of the country? If not, I don’t think you need a Letter of Invitation. Thank you for your response. Yes, this is going to be my first time ever to travel out of the country. I’m not sure yet if I’m going to be staying in a hotel or at my friend’s house. An should I mention that I got invited by a friend, or is it safe just to say that I’m only visiting for the Tet? Hi. Is you friend Filipino? I suggest you get a Letter of Invitation if it’s your first time then. In our experience, we don’t give to friends but they are seasoned travelers. There have been many instances of Filipinos being off loaded when traveling to Vietnam especially if it’s their first time out of the country. Best to get a letter of invitation. You have to get the original document. My friend is a Vietnamese. Scanned copy of the Letter not allowed? Hi again. So sorry as I can’t help further. Not sure how it goes when you are invited by a local. Have tried several times just sending a scanned document to my mom when visiting but she’s family so it’s easier and she’s well-traveled. Maybe a scanned copy of the letter of invitation, your bank account (verified), RT ticket, and COE will be enough. Good luck! No. you’ve been a great help. Thank you so much. I’ll research more. I don’t want to waste an expensive ticket. LMAO! Thanks again. A friend who recently had an experience of a relative being off loaded said that it would be best that you show your Letter of Invitation only when asked. It may become more suspicious if you show them that. Only show your passport as a normal tourist would do and only when asked by immigration do you show other documents. Got it. Thank you so much Lyra.